Known for his classic films that brightened everyone’s childhoods, wildly entertaining theme parks and popular movies today that carry his name, Walt Disney undoubtedly altered our culture forever and inspired countless artists and storytellers worldwide. Let’s take a closer look. There were loud, audible gasps from the audience and then laughs and shrieks as Steamboat Willie, a short black and white animated film kept going on. The audience was transfixed watching a little mouse drive a steamboat and see his various shenanigans along the way. No one got up to leave. “Who created this?” someone from the audience shouted as the short film ended to a loud round of applause. A man seated in the back of the movie theater, who had created this cartoon character, laughed too. Walter Elias Disney, better known as Walt Disney, would end up winning 22 Academy Awards and being nominated an additional 59 more times for his innovative animations and motion-picture cartoon films. Few individuals have inspired the hearts and minds of so many children and adults alike, creating memorable and beloved characters that outlive their time period and persist in the imagination and popular culture as Walt Disney did. Born on December 5, 1901, in Hermosa, Illinois, Walt Disney, would later become a world-famous animator and pioneer of cartoon movies. Walt created the cartoon character Mickey Mouse and founded the motion-picture company, Walt Disney Productions with his brother Roy and the founder of the theme parks Disneyland and Walt Disney World. He was both an exceptional leader and innovative artist. Beyond his animations and movies, Disney was also a successful entrepreneur, inspiring leader and excellent communicator. He inspired countless others to follow their hearts and be bold in pursuing their ideas. Here are nine essential lessons we have learned from this world-famous, beloved storyteller, animator, producer and entrepreneur. Work consumes a large part of your life. Hence doing work that you have a natural passion for, is advisable. From an early age, Walt loved to draw. He spent countless hours drawing and doodling as a child, giving his drawings away to neighbors and friends. In between odd jobs, Walt would draw and sell his pictures. He took drawing and photography classes at McKinley High School in Chicago and contributed cartoons for the school paper, while taking night classes at the Chicago Art Institute. He dropped out of school to go to the Army, but was considered underage and was turned down. Walt instead joined the Red Cross, working as an ambulance driver for a year in France. He returned home in 1919, pursuing a career as a newspaper artist. Walt never lost his love for drawing and storytelling through visual mediums despite taking on odd jobs. He was determined to create cartoons and draw for a living and that persistence paid off. Walt was incredibly successful in life, pursuing his passion and his legacy lives on through the production company and theme parks he founded. Yes, you got to have strong passion for your work to continue to do it year after year. But passion alone is not enough and your love for an idea or creating something, does not mean it is necessarily what anyone else wants. If you blindly pursue your own interests without any attention to what people want, you can have personal satisfaction, but you will find difficulty in making a career out of it. You have to focus that passion and pursue your passion in avenues that people are eager to engage with and want. This thinking is similar to our business model approach, where you find the intersection between what you love to do, what you are good at and what people pay you well to do. Walt Disney was committed to his work. He was focused and paid careful attention to details. Disney was very talented, but he did not take that ability for granted. He did not procrastinate for hours on end or avoid pursuing his passion with excuses. He took the initiative to follow his ideas, creating them carefully. He applied himself. Disney knew he had a talent for drawing, animation and storytelling. He was eager to use new technologies and already had success winning the loyalties and affections of audiences through his own cartoon series and ideas he had pitched. But to take the plunge of launching your own business and putting your time, money and reputation on the line, is no small feat for anyone, especially when you are pursuing a path that has not been charted out before. Disney was a pioneer and he was unabashedly so. While he was considered a shy, reserved man in private, Disney did not hesitate to pursue commercial opportunities and market his ideas to grow his business. He had strong initiative. Success did not happen immediately. It took persistence and commitment over a long period of time. Walt got a job at an art studio after he returned from his service with the Red Cross in 1919 and began experimenting with his own animations. He started his own cartoon animation series, Laugh-O-Grams with a friend, Fred Harman, whom he had hired previously. While the series was very popular, the company itself was not financially stable and went bankrupt after just one year. Disney moved to Hollywood, CA, with his brother Roy and started their own Disney Brother Studios. Upon arrival in California, Disney succeeded in getting his first deal to create a new cartoon character, Alice and a series of shorts at $1,500 each for a New York distributor Margaret Winkler and her husband, Charles Mintz. Disney also created his own character Oswald the Lucky Rabbit, but unfortunately was unable to use the concept as the couple stole the copyright. Despite these setbacks, Disney did not give up. He went to work immediately to create an entirely new character, called Mickey Mouse. He made two short films, Plane Crazy and The Gallopin' Gaucho, with Mickey Mouse, but failed to win distribution. Filmmakers were just starting to experiment with adding sound to film and Disney hopped on the bandwagon, creating a short film with sound, starring Mickey Mouse called Steamboat Willie. Walt became the new voice for Mickey and the cartoon was an instant sensation. Disney’s persistence and hard work had paid off. In 1929, Disney also created Silly Symphonies, featuring Mickey's new friends Minnie Mouse, Donald Duck, Goofy and Pluto. The first color cartoon, Flowers and Trees, went on to win an Oscar. In 1933, Disney produced The Three Little Pigs whose title song "Who's Afraid of the Big Bad Wolf?" would become a theme for the country in the midst of the Great Depression. Disney’s commercial success even though the country was in a depression was remarkable. Eight years later on December 21, 1937, Disney premiered Snow White and the Seven Dwarfs, the first full-length animated film, in Los Angeles. The animated color film with sound produced a whopping $1.499 million, despite the Great Depression, winning hearts and minds all over the country and raking in eight Oscars. During the 1920s and 1930s, technology such as Technicolor and sound were considered daring, risky and were even opposed by actors and directors. Despite this resistance in Hollywood, audiences would soon embrace talking pictures or “talkies” as predicted by Wesley Stout of the Saturday Evening Post in 1929. Film innovators like Disney benefited by adopting the new technology. Walt Disney created the first full full-length animated movie, Snow White and the Seven Dwarfs, which went on to become one of the most popular movies of its time. Disney was also the first Hollywood studio executive who was willing to work with television. He shared the “Mickey Mouse Club” on television, which children loved. The Disney brand grew in popularity through the television show and made an indelible positive impression on children everywhere. Taking advice and letting other people make decisions for you are not the same thing. If you let someone else make your decisions for you, it becomes very difficult for you to express your own abilities and ideas. 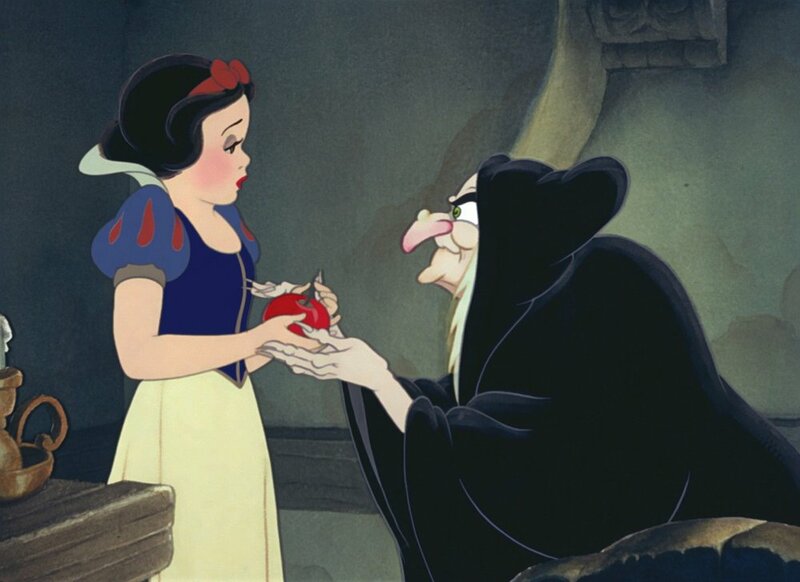 When Disney proposed his idea for the Snow White project, a full-length feature animated movie, animators, producers and directors opposed the idea, saying that it was not commercially viable and would be a disaster among audiences. His wife and brother were also apprehensive and did their best to convince him to drop the project. Half-way through the movie production, Disney ran out of money but he did not quit. He took the raw film with him and showed clips to new producers, seeking out funding. Eventually, he did secure funding, thus saving both his film and his studio. Disney was also advised to not mix human actors with animated characters as he did on television shows and that having a mouse character would scare away women. In addition to his friends, family and colleagues being worried about his ideas for theme parks, Disney faced financial disappointments when he aimed to get funding. Despite his commercial success with numerous movies, Disney was turned down over 300 times about his theme park concept, until he cemented a deal with television studios. When Disney finally premiered Snow White and the Seven Dwarfs in Los Angeles, CA, the movie received a standing ovation. The film garnered $1.5 million during the Great Depression, an incredible feat that showed how compelling Disney’s characters were and how audiences loved the movie’s storytelling, use of color and sound. Snow White and the Seven Dwarfs was also the first film ever to have its own complete merchandising campaign in place when the movie was released. The tremendous success of the film enabled him to continue his dream and finance new feature films. After all that he had gone through, Disney could have taken his large profits and gone on to other things like numerous artists and entrepreneurs have done. He did not though because his dream was much bigger and he still had a lot that he wanted to achieve. Walt Disney did not settle with his first success of Snow White, but immediately began his next projects - Pinocchio, Fantasia, Bambi and more. After creating his iconic character Mickey Mouse, Disney went on to create additional characters, Minnie Mouse, Donald Duck, Pluto and many more. He also kept refining his characters so they would continually improve. Walt Disney Studios would go on to make a string of full-length animated films, Pinocchio (1940), Fantasia (1940), Dumbo (1941) and Bambi (1942). The animated movies that Walt Disney Studio produced, stood out for their lovable characters and compassionate storytelling, affecting the perspectives of both children and adults worldwide. Disney’s growth led to the creation of a new campus for Walt Disney Studios in Burbank, CA by December 1939. Disney was an inspiring storyteller and his stories extended beyond his films and television shows to the studio with his employees. He would tell his employees stories in a lot of detail and inspire them. Disney was known for being exacting and also very appreciative. He would hire people more talented than himself, pay for their additional education and encourage them to be their best. Disney also gained the support, strong loyalty and affection of his employees. What would the world be like without Disneyland and Walt Disney World? Stepping on to the grounds of Disneyland reminds you of being a kid immediately and offers a place for both children and adults to relax, have fun and play, enjoy themselves and be inspired. When Disneyland, Walt Disney’s first theme park, opened in Anaheim, CA, actor and future president Ronald Reagan inaugurated the new theme park. Over the years, Disneyland has expanded to Florida with Walt Disney World and overseas in Japan, France and more. The theme park is beloved to children as a place where they can explore Disney stories they love through games, rides, events and meeting Disney characters. While Walt Disney has passed on, his legacy remains and continues to flourish as Walt Disney Studios has grown over the years, expanding its offerings to include the popular Marvel and Star Wars franchises. Today the name Walt Disney is known all over the world and is synonymous with a child’s imagination, colorful animation, storytelling and movie magic. We’ve written these profiles about individuals whose innovations or creations offered significant benefit to society. In a few instances, we also have profiles about people who each executed one unique, remarkable individual act that had a tremendous positive impact on a large community or group of people. We have created these profile stories to learn more about these individuals and to inspire you, our reader, to take positive action in your own life. For aspiring entrepreneurs or individuals who wish to create new products and services and bring their ideas to life, it is more important to know the motivations and processes of high achieving individuals than all the specific details of their achievements. By learning more about these processes, environmental influences and their personal lives, you can gain more insight into the qualities, motivations and methods of these highly successful and unique individuals. This in turn, can help you achieve more in your own life. Read more of our Profiles and learn with us! Have an individual in mind that you would like us to profile? Tell us at contact@elfproductions.com.